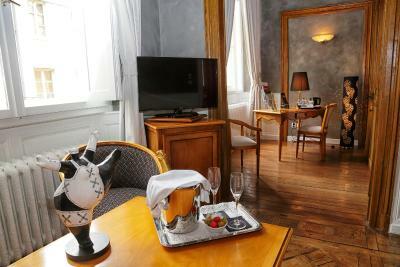 Lock in a great price for Hotel D'haussonville – rated 9 by recent guests! 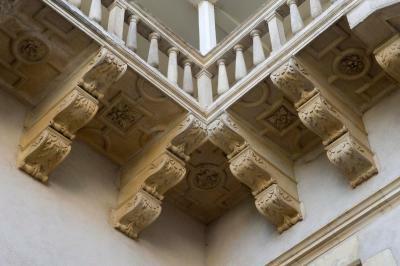 The décor of the 600 year old chateau was superb and beautifully done. The comfort, facilities, bedroom and bathroom were wonderful. 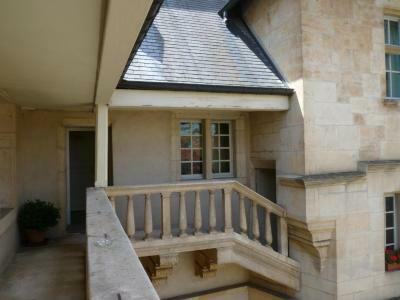 Well located in the beautiful city of Nancy within walking distance to all the stunning sites. So impressive! Wonderful location. Celadon room was clean, spacious, bathroom small, but cozy. Very noisy if must open window for air. Charming, warm and helpful staff; charming, authentic period architecture and furnishings; charming and magical Alsatian town. What a lucky choice we made enroute from Paris to southern Sweden by car. A September evening walk with our dog in a nearby park beneath towering chestnut trees, where locals were doing the same, was absolutely enchanting, and something we will never forget. Thanks to our hostess we can honestly recommend Brasserie Excelsior for a lively dinner in an Art Nouveau jewel. On our own we discovered a wonderful modern patissier/boulanger named Stef just a few doors down. We had no trouble street parking. 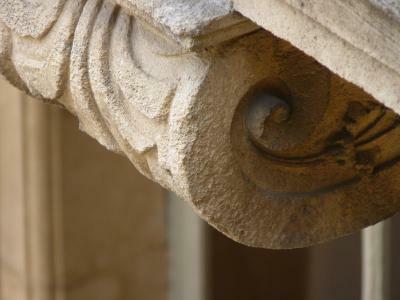 We loved the ancient spiral stairway. It is a magnificent work of art and craft! I absolutely loved this hotel. So elegant, clean and well located. Full of charm.The staff were very professional and friendly. The hotel is a true gem . We will return! What a delightful hotel! All the charm of heritage mixed with some stylish, but really friendly and helpful staff. 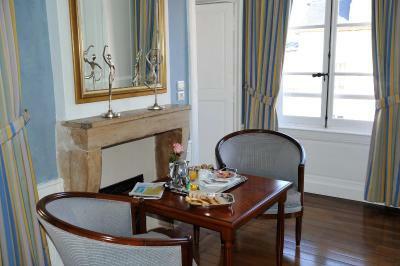 The hotel's location contributes and the breakfast is exquisitely served. I had Internet access problems but these were resolved soon. The little bottle of champagne for the initial disappointment was very much appreciated. That's good customer service together with some fine restaurant recommendations. 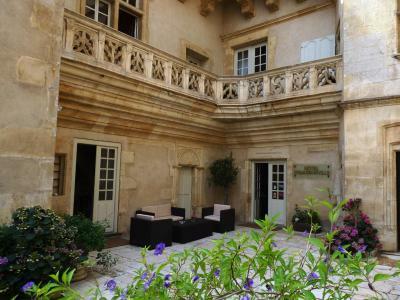 Very traditional and historic hotel on fantastic location. 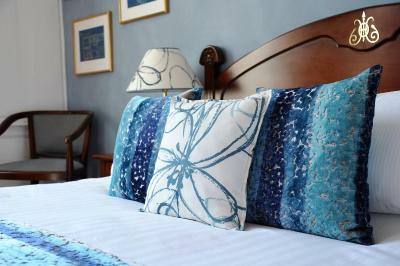 Rooms are generous and hotel and staff makes you feel home. The internet worked well and was reasonably stable. 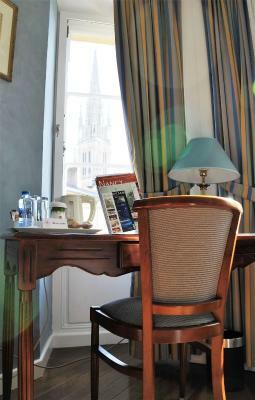 This small hotel is in the heart of Nancy, but on a very quiet street. 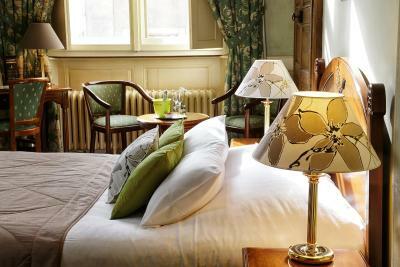 Very comfortable room, exceptionally good breakfast. A lot of good restaurants around. No place for parking in the hotel, but very close to Course Leopold, where you'll find a lot of place for parking at any time. 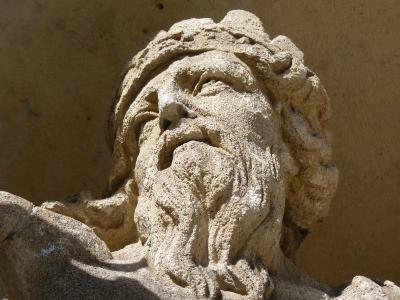 This sixteenth-century hotel has a great deal of character. Our room was large and convenient with a good bathroom. The staff were friendly and helpful. One of our best sellers in Nancy! 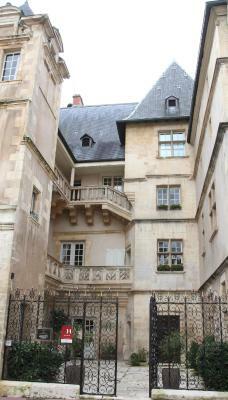 This 16th-century mansion is in the heart of Nancy’s historic quarter a 10-minute walk from The Museum of Fine Arts of Nancy. 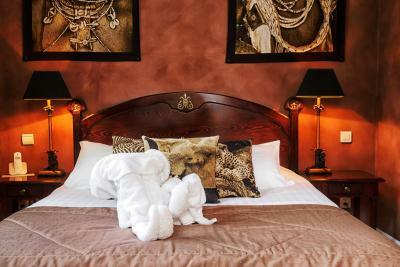 It offers individually-decorated rooms and free Wi-Fi. 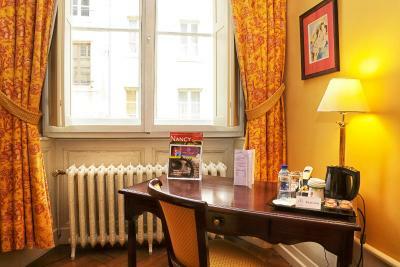 The spacious rooms at Hotel D'haussonville are equipped with a telephone, flat-screen satellite TV and private bathroom. Each room features hardwood floors and a sitting area. 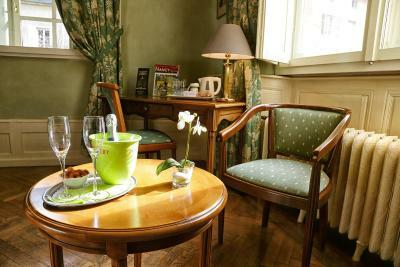 Hotel D'haussonville serves a continental breakfast each morning that guests can enjoy in the small lounge. 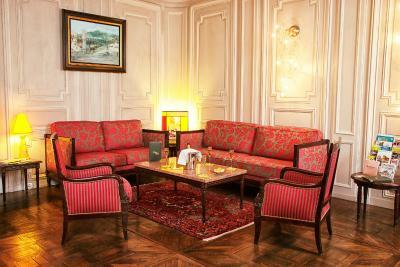 Guests can relax with a drink in the large lounge. 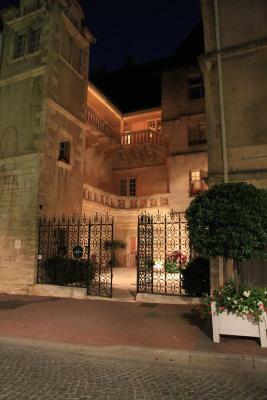 A unique feature of the hotel is the square tower with a stone staircase leading to the guest rooms. 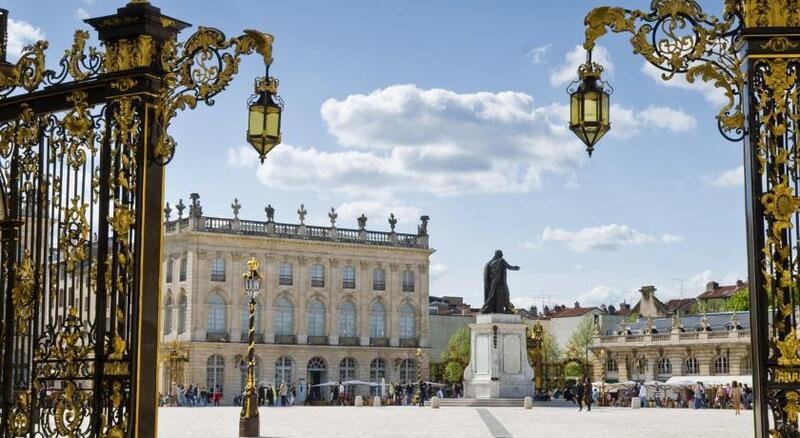 Hotel D'haussonville is a short walk from The Ducal Palace of Nancy and a 5-minute walk from the pedestrianized Place Stanislas. 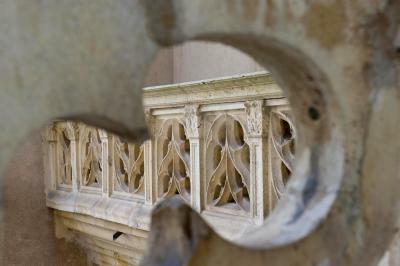 This is our guests' favorite part of Nancy, according to independent reviews. 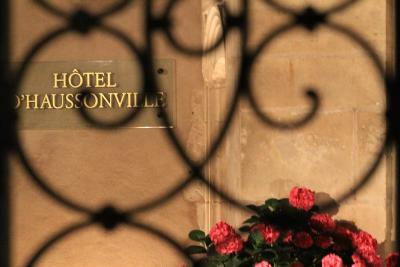 When would you like to stay at Hotel D'haussonville? 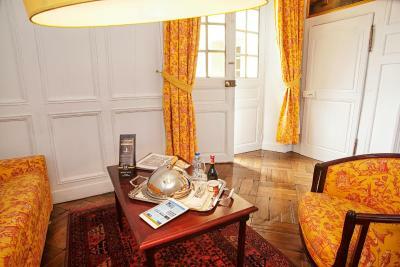 The room features a living area, tea and coffee making facilities and a TV. 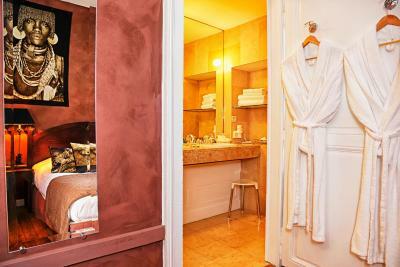 The private bathroom is complete with bathrobes, free toiletries and a hairdryer. The toilet is separate. A baby cot or an extra bed can be accommodated in this room. Please see Hotel Policies. 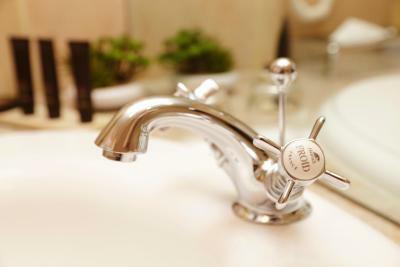 This suite features a living room, and the private bathroom includes a bath tub with a shower, and separate toilet. An extra bed or a baby cot can be accommodated in this room. Please see Hotel Policies. 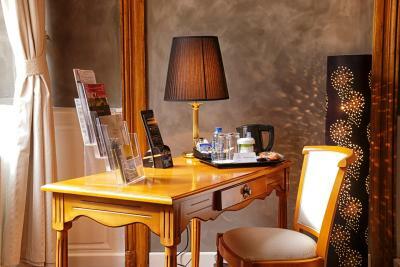 This room offers a seating area, tea and coffee facilities and a TV. The bathroom includes bathrobes, free toiletries and a hairdryer. 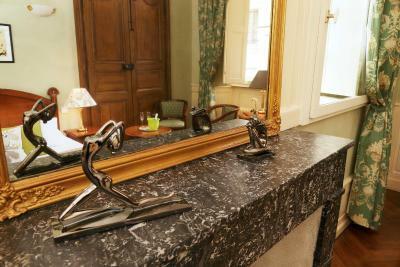 The room features a living area, tea and coffee making facilities and a TV. The private bathroom is complete with bathrobes, free toiletries and a hairdryer. A baby cot can be accommodated in this room. Please see Hotel Policies. 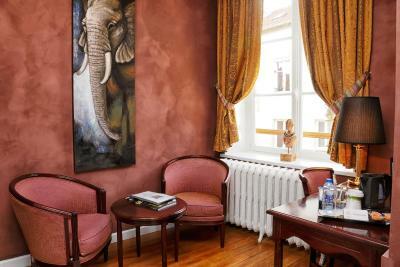 This suite offers a seating area, tea and coffee facilities and a TV. The bathroom includes bathrobes, free toiletries and a hairdryer. Please note that the sofa bed is only suitable for a child under 16 years old. An extra bed cannot be accommodated in this room. Please see Hotel Policies. 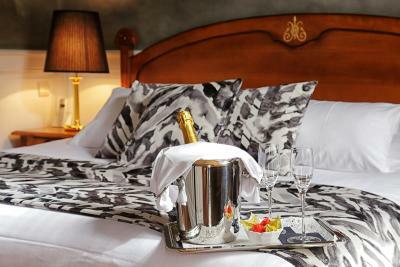 House Rules Hotel D'haussonville takes special requests – add in the next step! 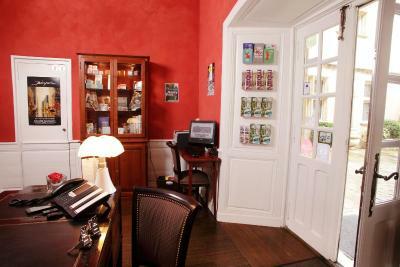 Hotel D&#39;haussonville accepts these cards and reserves the right to temporarily hold an amount prior to arrival. 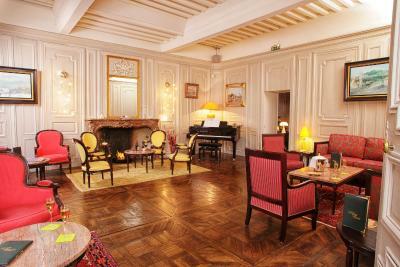 Hotel D'haussonville accepts these cards and reserves the right to temporarily hold an amount prior to arrival. Perhaps the wifi needs a little attention! Did not sleep well at all! The mattress was curved and used. While I am sensitive with my back even my partner left the place with a back pain. We booked the "Haussonville Room". A hotel with only seven rooms cannot provide a wide choice for breakfast. Many of the cakes and pastries were stale. Fantastic staff and the breakfast was superb. As with 99% of French hotels, they do not include breakfast. All of the other countries on our 12 hotel bike trip do include it. There are plenty of nearby cafes. Great old-town central location. Let us park our motorcycle right in the courtyard. It's a grand old building. 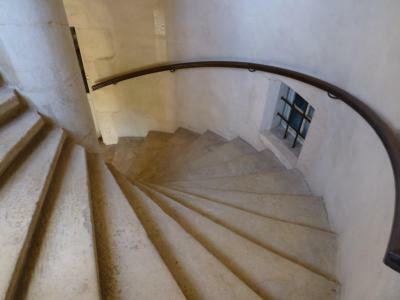 The 76 stone, spiral steps up to our themed room where impressive but a chore in the 38 degree July heat. The rooms have A/C. This is the first time the hotel we were staying in was a stop on the little tourist sight-seeing train ride. Perfect hosting by the hands on owner, who could not be more helpful. Breakfast in the charming and tasteful dining room, was delicious and is highly recommended! 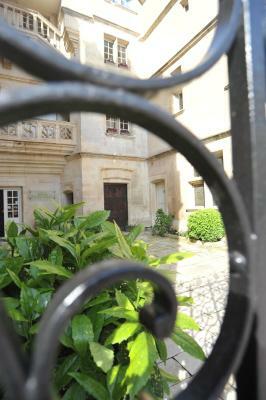 The location, could not be better, being in the old town, near the cathedral, restaurants and bars. 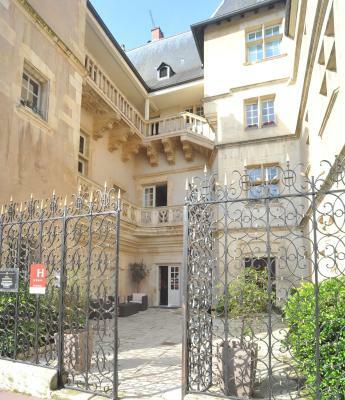 The gated courtyard, the spiral stone staircase and the elegant salon. 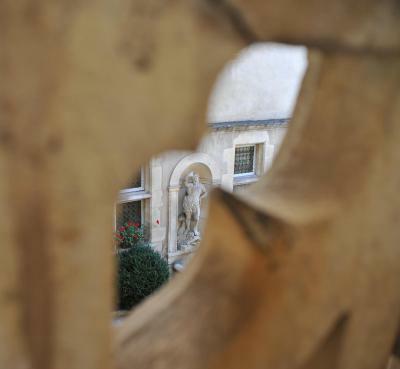 What a wonderful 7 room historical hotel, staff really friendly and helpful, themed rooms great and they allowed me to park my motorcycle in the small secure courtyard for free, thank you.